Take Action: Write to Whatcom County Council Members to support the recommendations of the Public Health Advisory Board to the Whatcom County Health Board to support of immigrant families of all statuses. 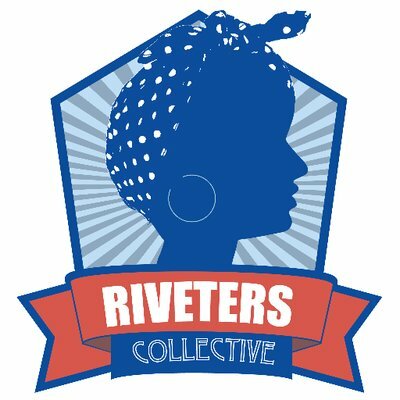 Feel free to provide any expertise or experiences you have regarding the negative impacts on immigrants or our greater community resulting from the harassment, apprehension, detention, and/or deportation of immigrants. The council will likely take up the PHAB request at their November 20th meeting, so write your emails before then. Background: The Public Health Advisory Board (PHAB) met in early October 2018 to review health and safety impacts which recent detentions of undocumented workers are having on immigrants of all statuses and on our community. They also talked about the potential impacts proposed changes to the “public charge” rule (in other words, the Department of Homeland Security seeking to reshape how the federal government defines “public charge”) would have on immigrants and our county. On November 7, 2018 Public Health Director Regina Delahunt came before the Whatcom County Council Public Works and Health Committee meeting with a request for Council support for immigrant families in Whatcom County. 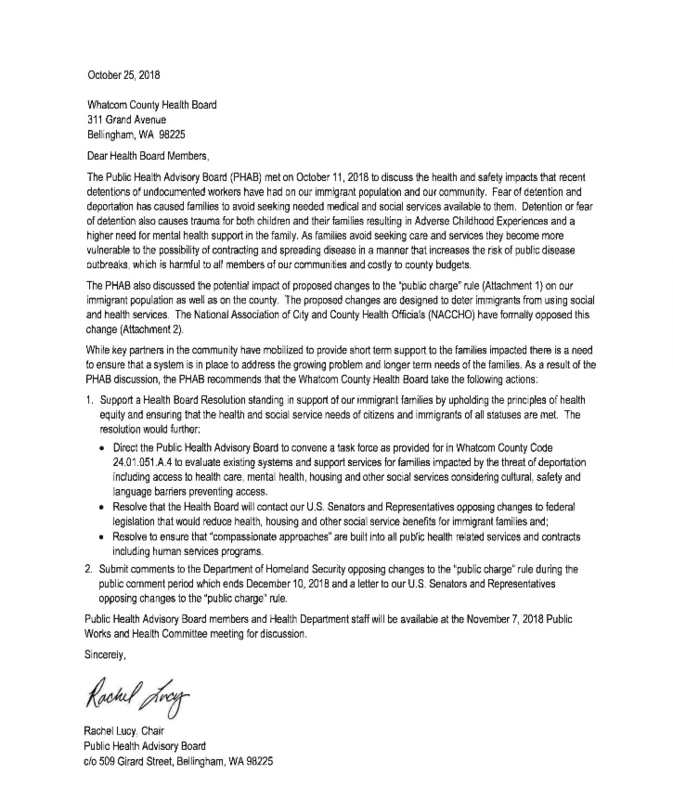 An October 25, 2018 letter had been sent from the Public Health Advisory Board (PHAB) to the Whatcom County Health Board (WCHB) outlining recommendations for creating a resolution and task force focused on support systems and services for families of immigrants of all statuses affected by detention and deportation. The letter also recommended that the WCHB submit comments to the Department of Homeland Security and letters to U.S. Senators and Representatives opposing changes to the “public charge” rule.